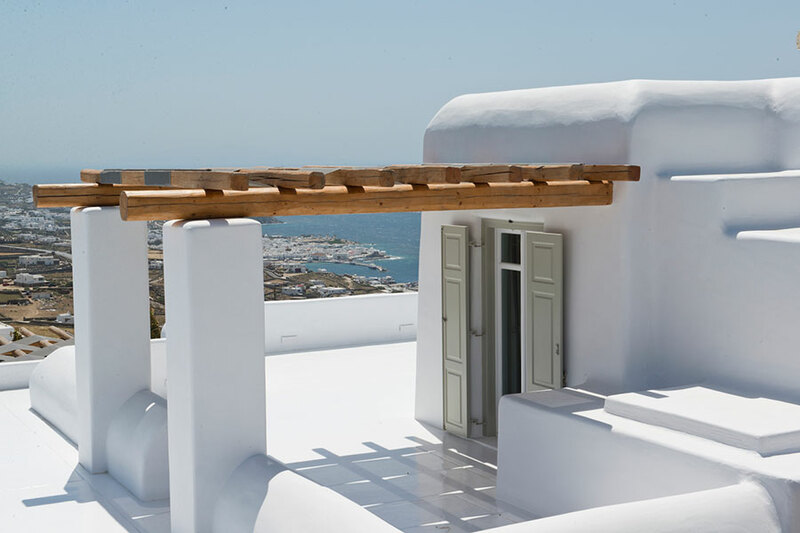 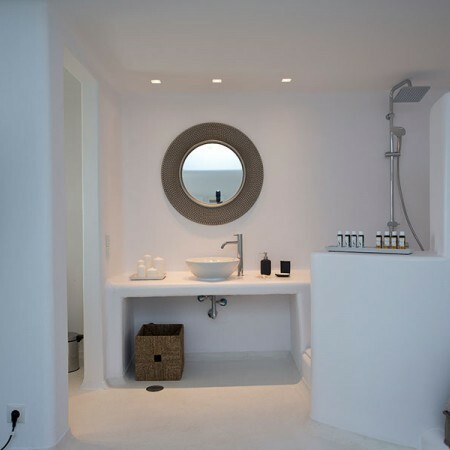 Villa Chriselle, part of a brand new villa complex in Mykonos, enjoys an unforgettable location overlooking the Aegean Sea. 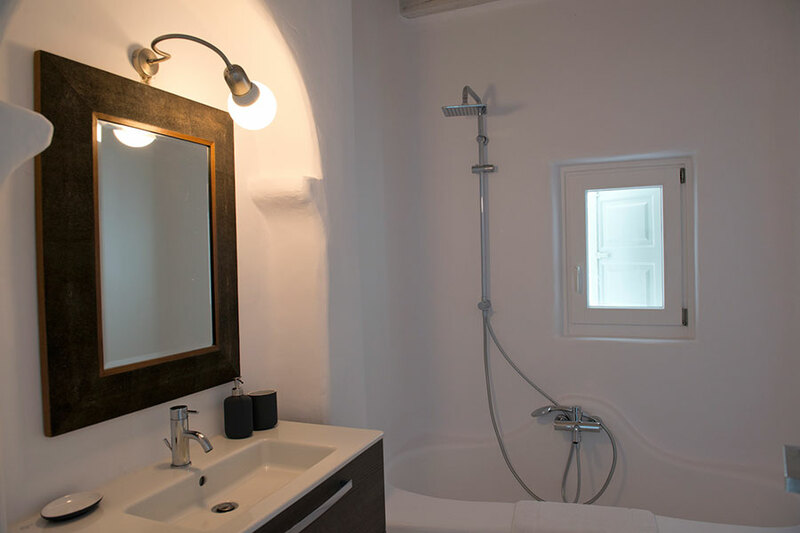 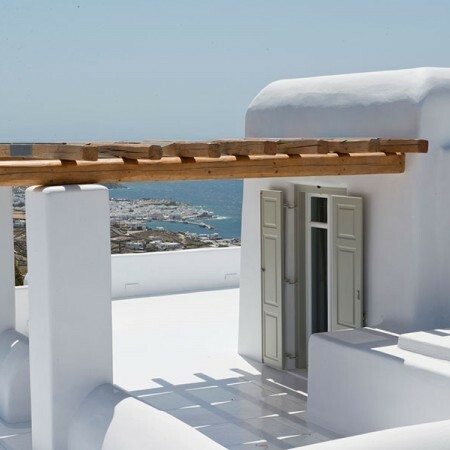 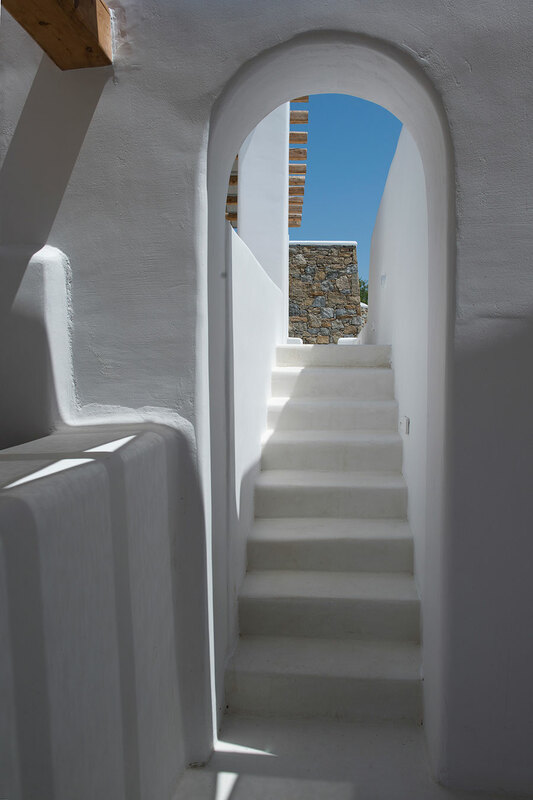 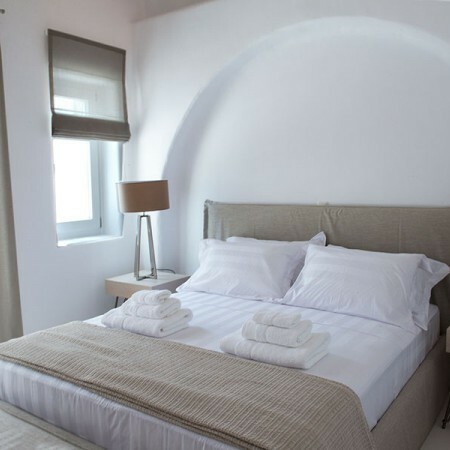 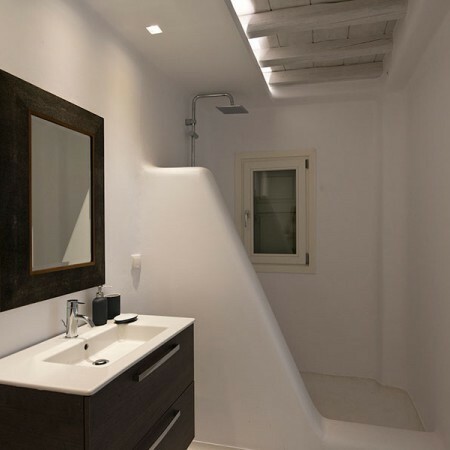 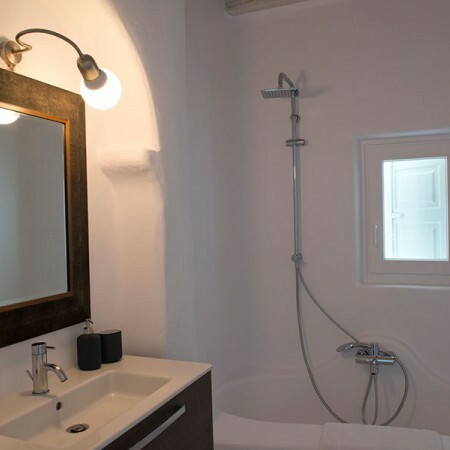 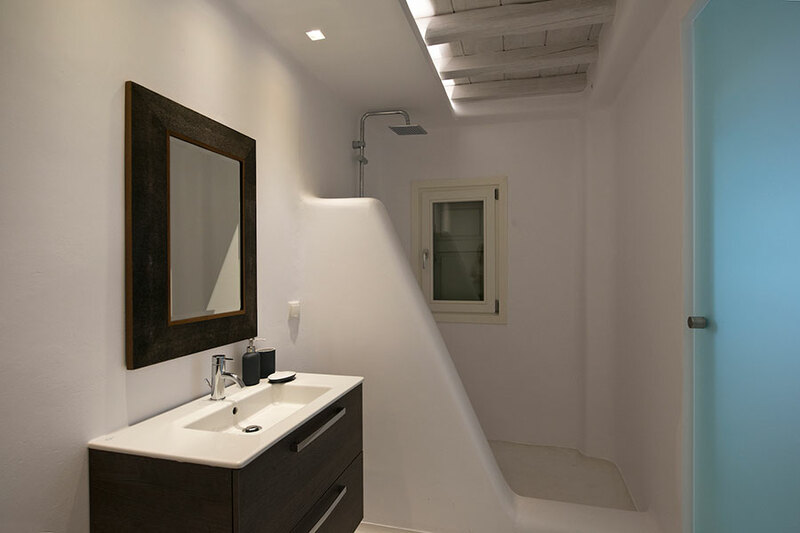 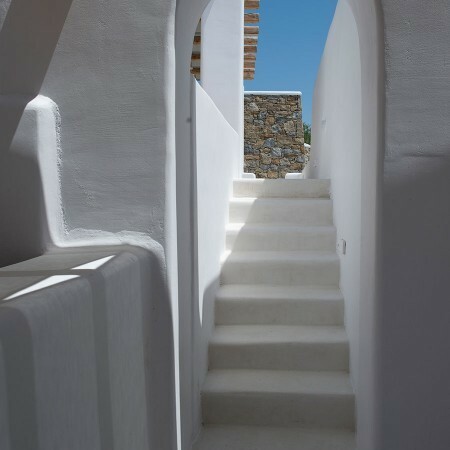 Mykonos Town is a 10 min ride, while Psarou, Ornos, St. John and Agios Stefanos beaches are within a 15 min drive or less, although spacious outdoor living areas make staying at the villa tempting, enough. 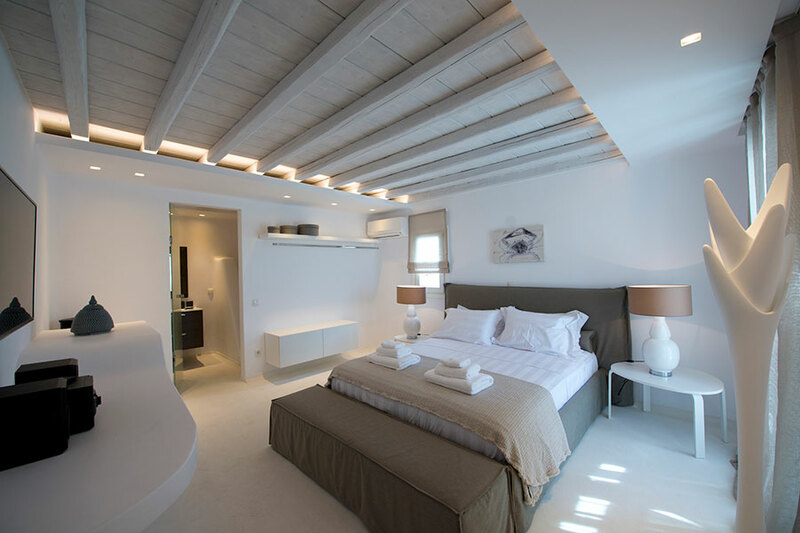 The villa is built in amphitheater location, occupying a total area of 383 sq.m on three levels, comprising of 3 master bedrooms in the main house with 5 attached suites, a spacious living room with fireplace, dining room, fully equipped kitchen and 1 WC for quests. 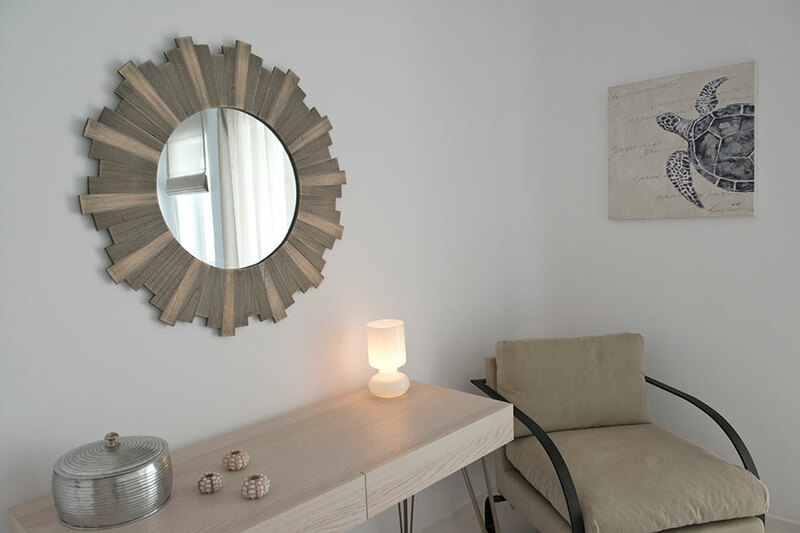 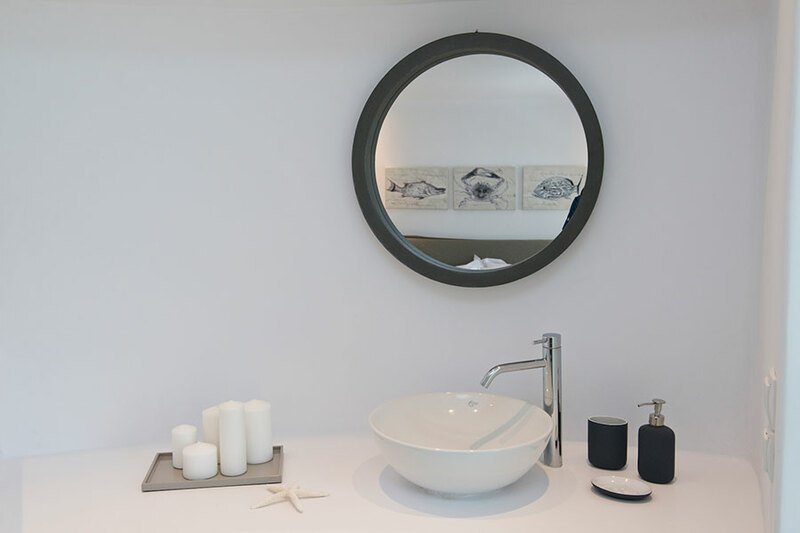 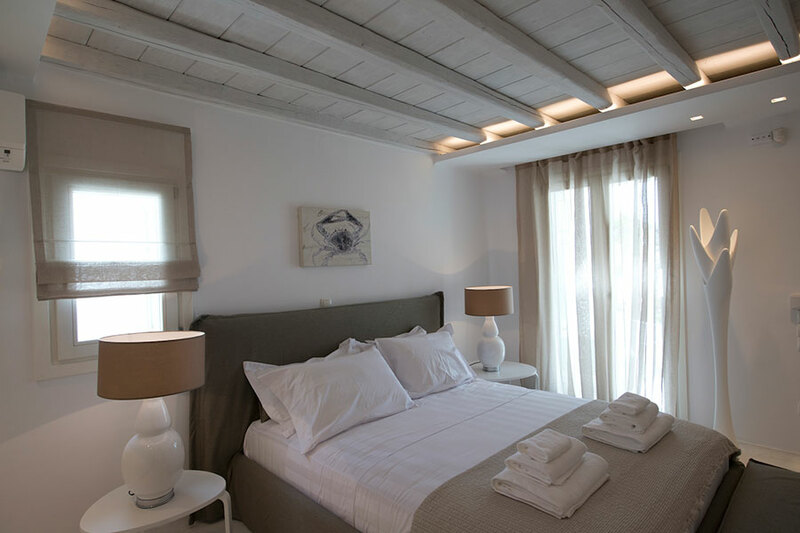 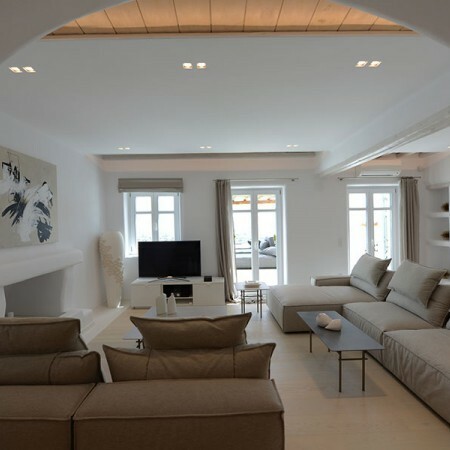 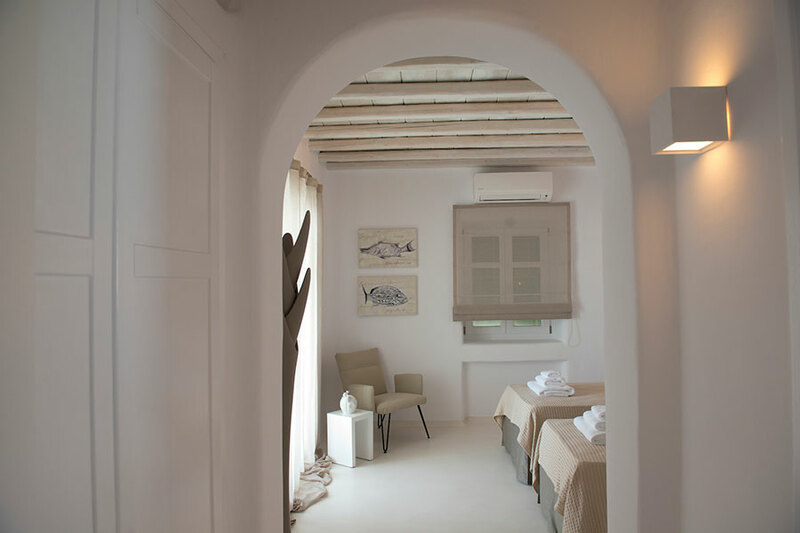 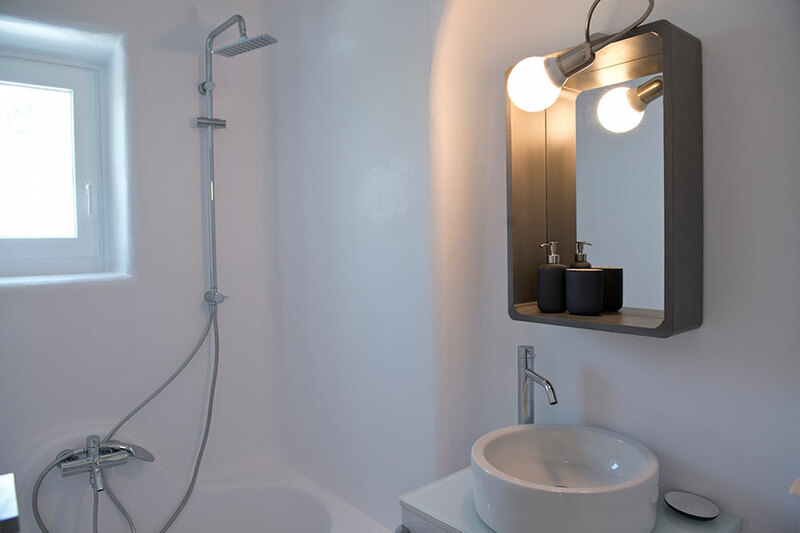 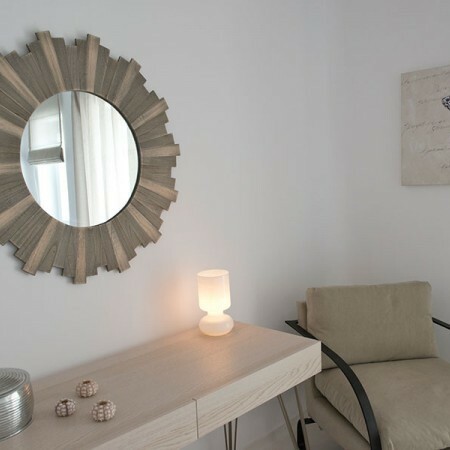 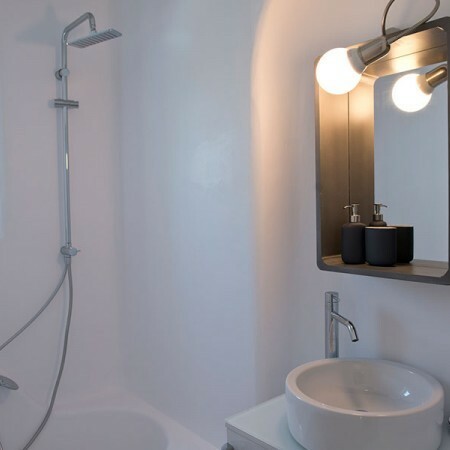 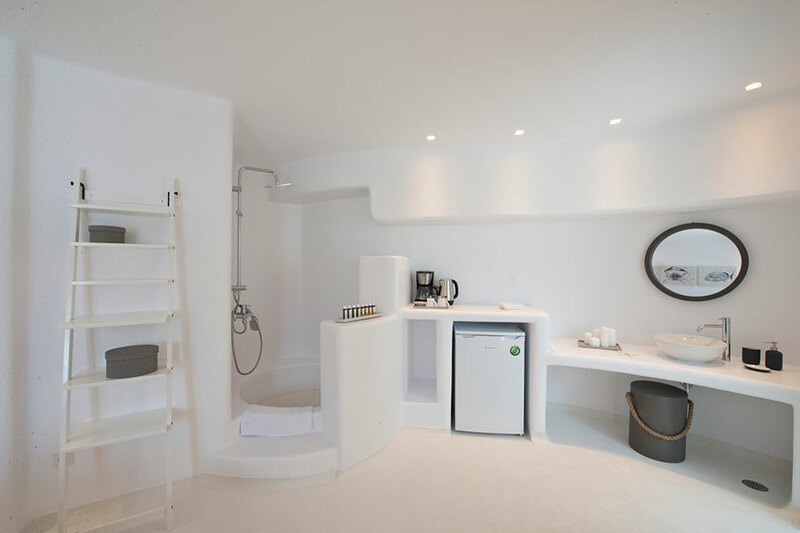 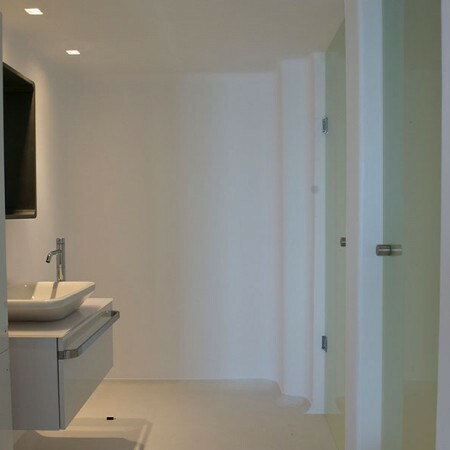 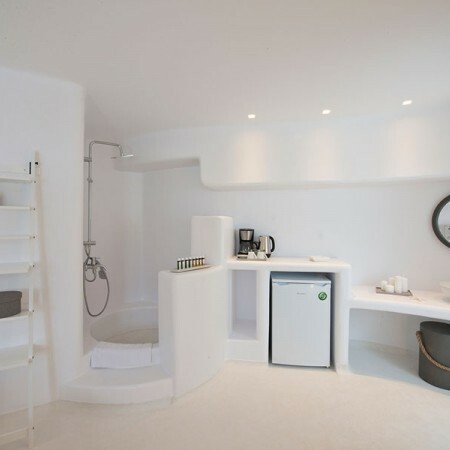 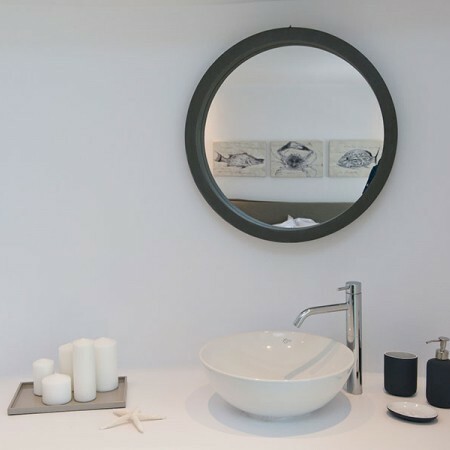 The minimal decor with elegant furniture provides a timeless style to luxury Villa Chriselle. 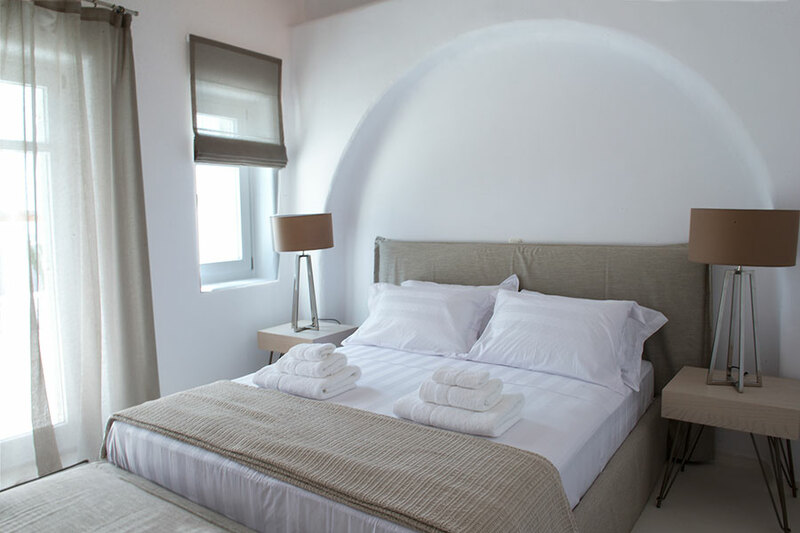 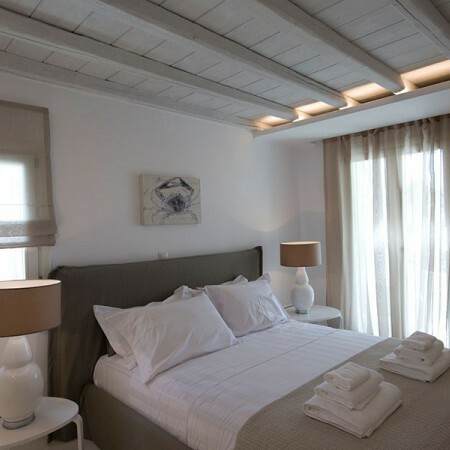 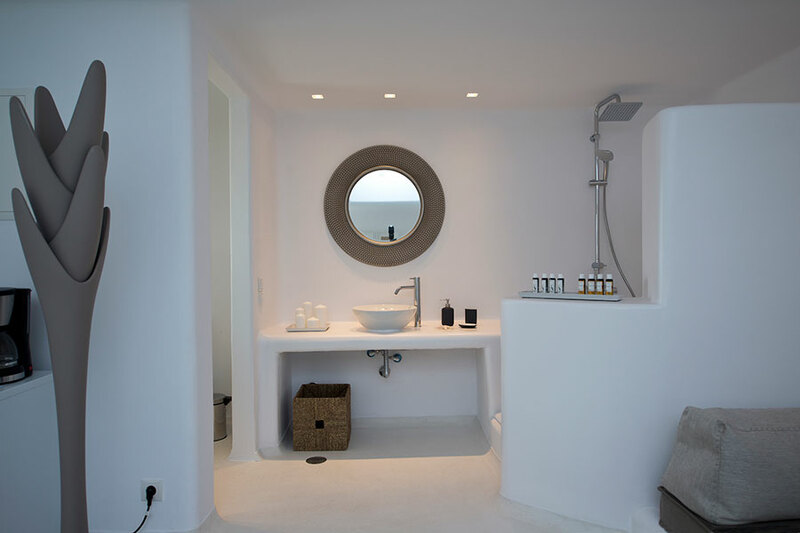 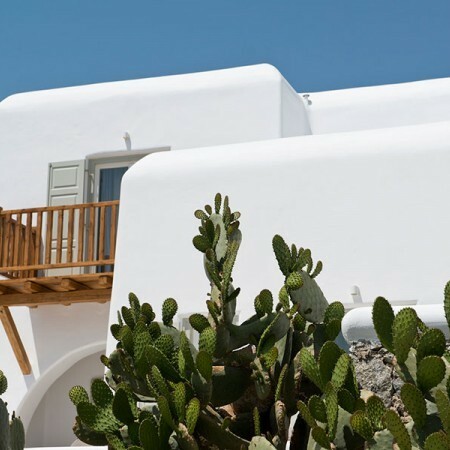 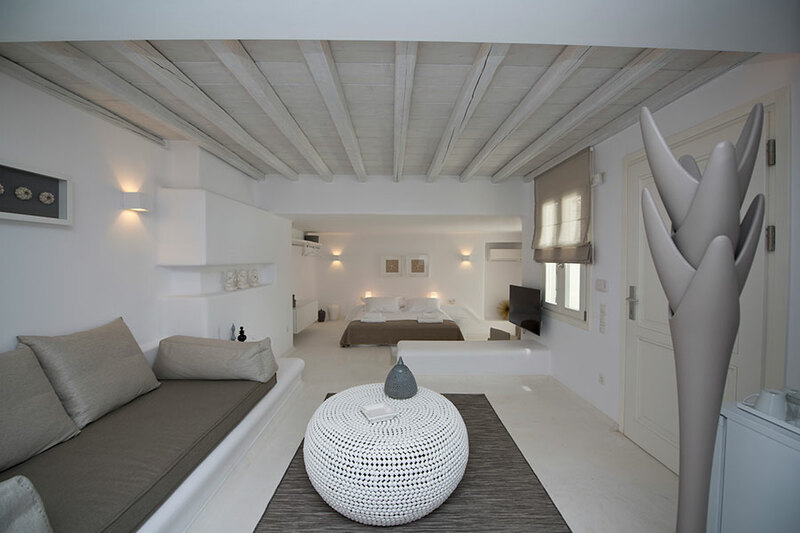 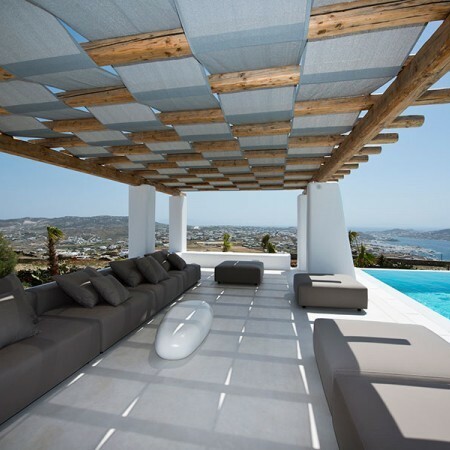 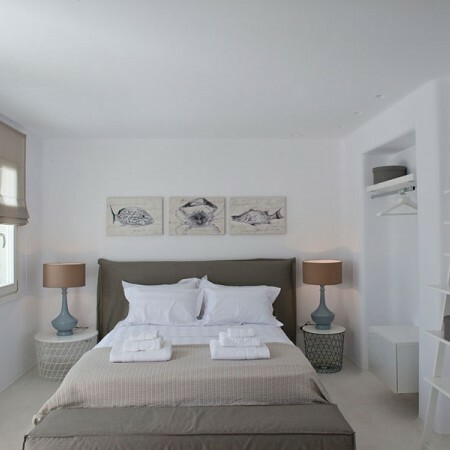 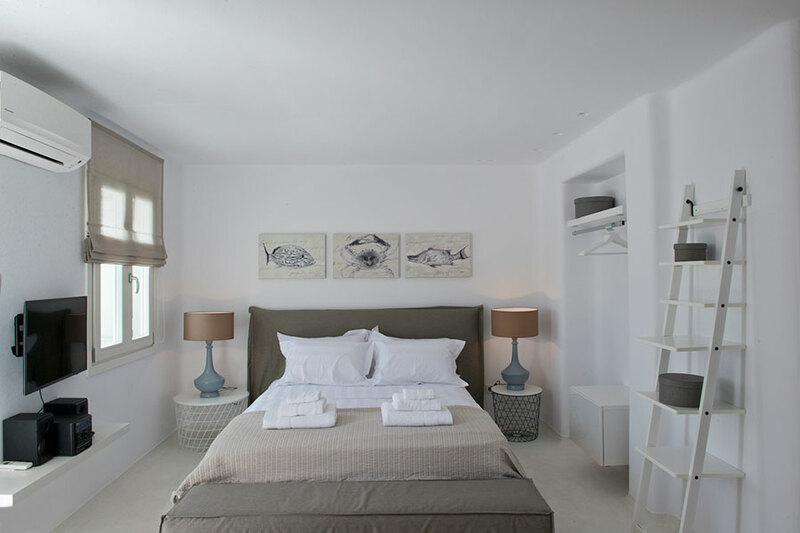 This villa makes a great match for guests who appreciate exquisite taste while being close to Mykonos Town. 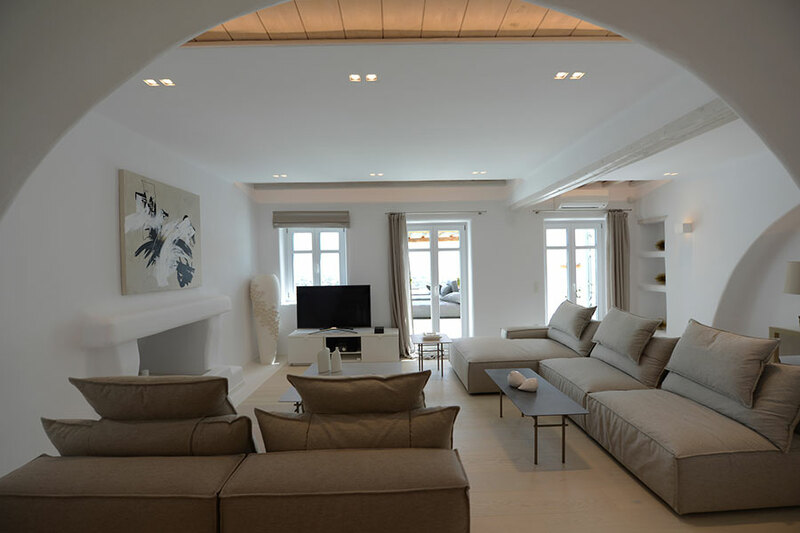 The spacious living room (with fireplace) and dining room are close to the kitchen, which is equipped with all modern appliances. 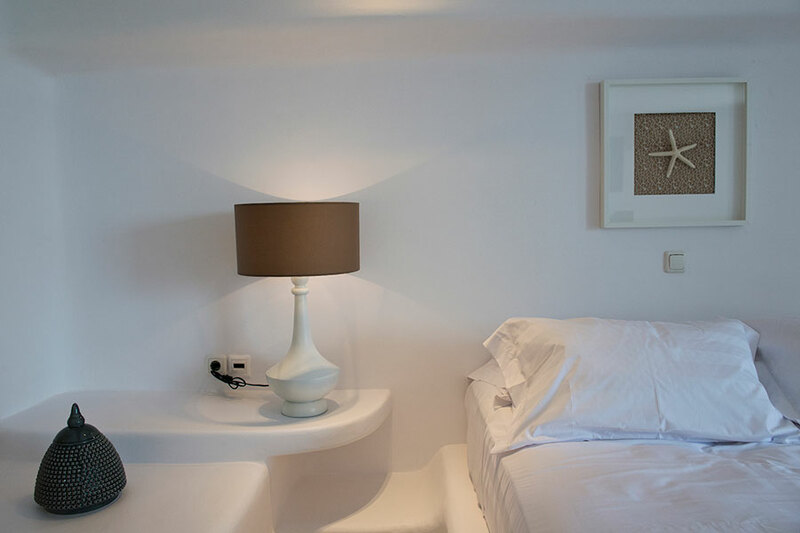 Villa Chriselle features full air conditioning in all main interior areas, WIFI, TV and alarm system. 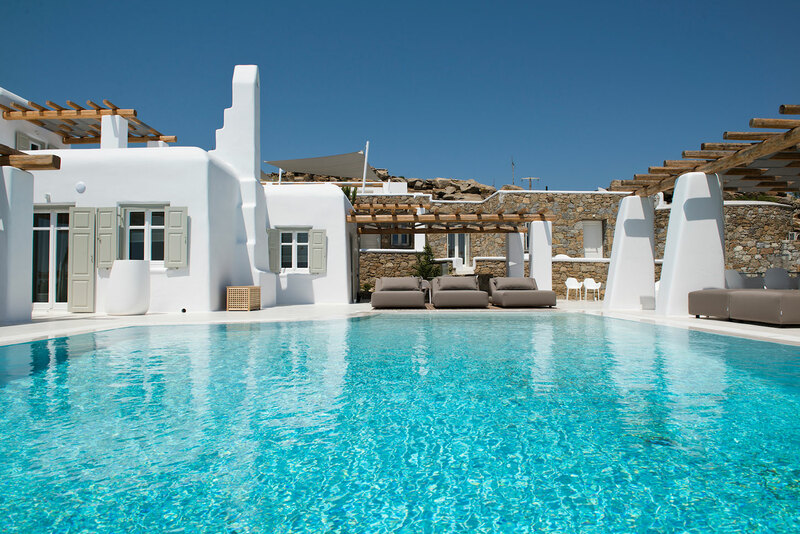 The infinity pool blends with the blue of the sea in order to capture the most amazing panoramas of the Aegean Sea and the legendary Mykonos Town. 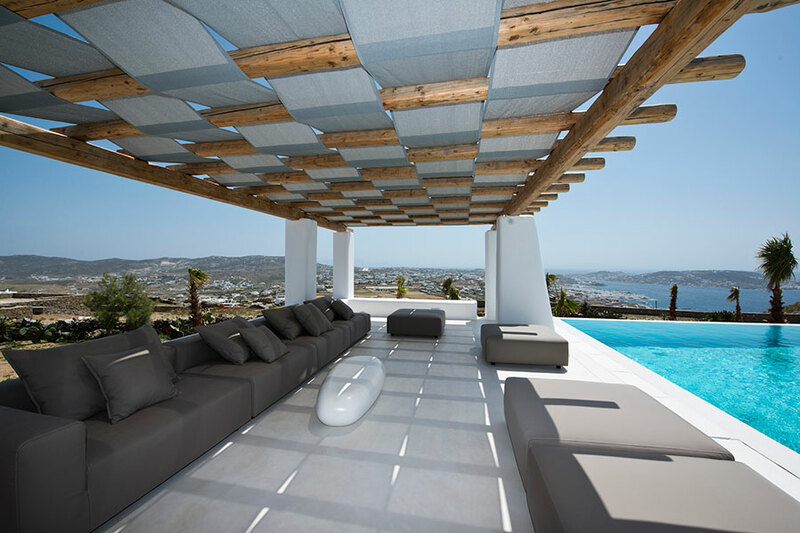 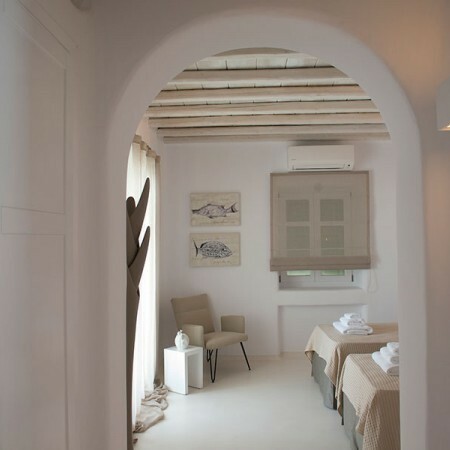 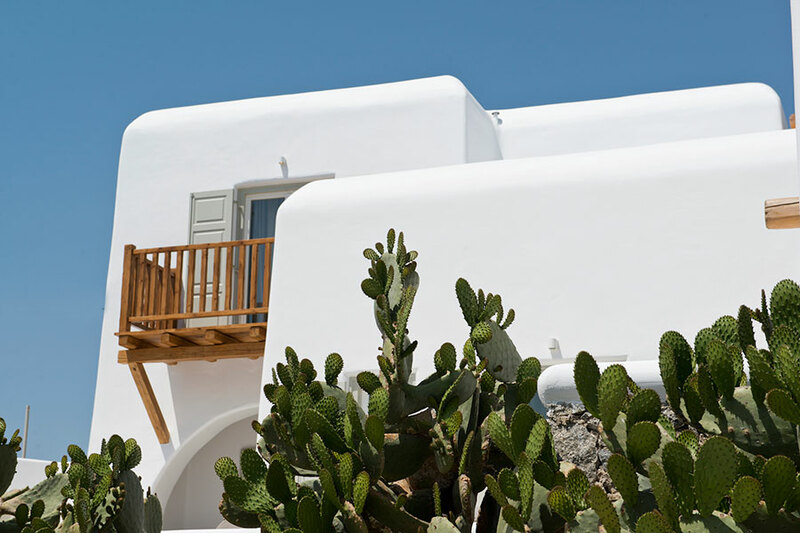 Villa Chriselle is shaped with both shaded living and dining rooms with pergolas, thus making it a perfect environment for relaxation and sunbathing in Mykonos island. 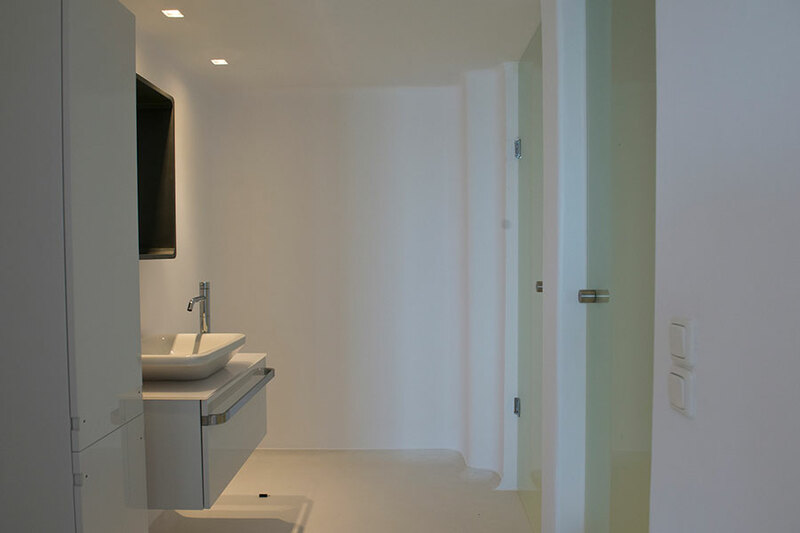 Guest Configuration Prices and seasons for this property are currently not available online. 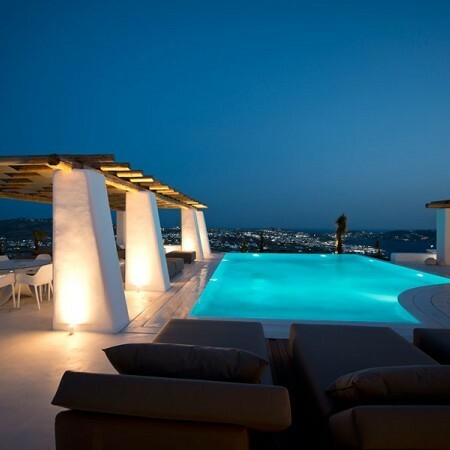 Please send request for more information. 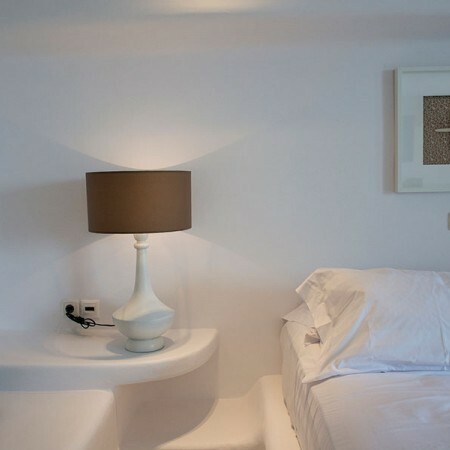 ✔ Complimentary concierge services before and during your stay at the villa.